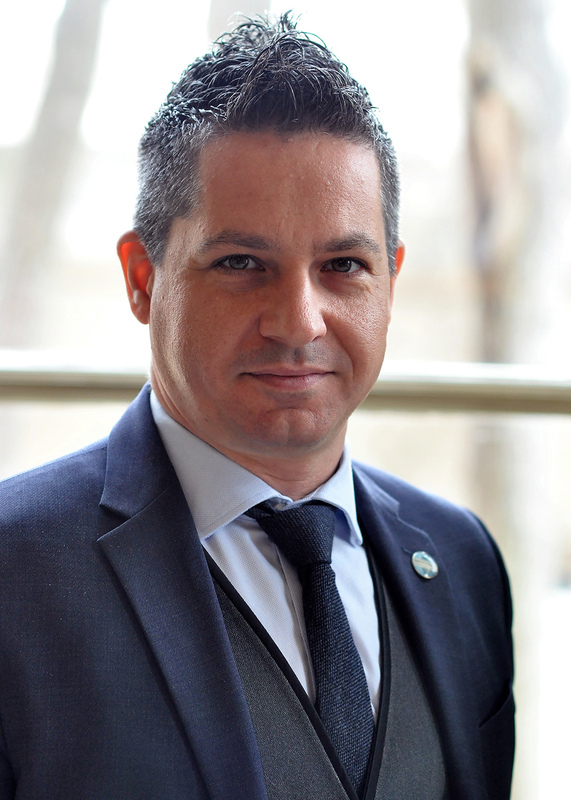 With over seventeen years of experience working in the international exchanges industry, Bogdan is a seasoned Program Officer and Team Lead at Meridian responsible for the development and implementation of numerous professional exchange programs funded by the U.S. and foreign governments, private clients and public entities. As part of the GlobalConnect team, he is currently overseeing the implementation of the U.S. Speaker Programs for the U.S. Embassies in India, Brazil and Macedonia, of the Science Envoys Project, and of the East Asia Pacific (EAP) Regional Administrative Support Program. More recently, Bogdan has implemented the Young Transatlantic Innovation Leaders Initiative (YTILI) and other highly customized programs for private clients including Visa Corp. and Cargill. He also directed for eight years the U.S. Congress – Republic of Korea National Assembly Exchange Program which brought together highly motivated Congressional Interns and students from the two countries for an opportunity to broaden their perspectives and knowledge about the legislative processes, the history of U.S.-Korean bilateral relations, and current economic, political and security aspects of the bilateral relationship. In previous years, Bogdan managed all the international development grants awarded to Meridian by the U.S. Department of State and USAID including projects in Iraq, Iran and West Ban. As a Program Officer in Meridian’s Professional Exchanges Division, but also as part of the GlobalConnect Division, he has implemented over 200 short-term professional exchanges for foreign officials and dignitaries coming to the U.S. as part of the International Visitor Leadership Program or as guests of various U.S. Embassies abroad. Bogdan was also the Project Manager of the Health Care Partnerships in Northern Iraq; and the Program Coordinator for the Open World Leadership Center Program. Bogdan has a Master’s in Political Management from the George Washington University’s Graduate School of Political Management and a B.A. in International Relations from Brigham Young University. He also holds a Graduate Certificate in PACs Management from the George Washington University and a Certificate in Professional Grant Proposal Writing from the Institute for Communication Improvement, Grant Institute. He has traveled extensively throughout Asia, Middle East, North America and Europe. Bogdan speaks Romanian, French and Aromanian (Vlach). Guatemala Indigenous Leaders Visit the U.S.
Ukrainian University Professionals Explore Academic Integrity in the U.S.